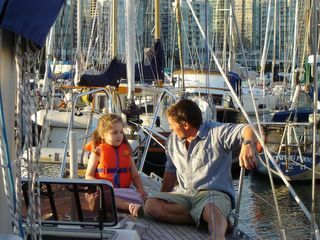 Talking about sailing, life, boats..I wonder if Steve actually let Nicole say anything?! Rich and Jill Hatchman came down to the boat with little Nicole on one of our lovely summer evenings. 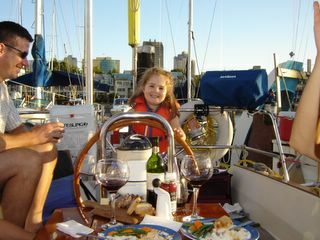 We all think that she is a born sailor because she was right at ease on the boat as you can see from her big smile while manning the helm.